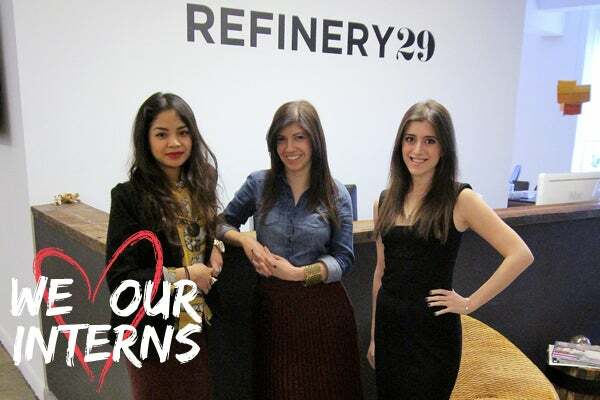 None of us would be at Refinery29 if it weren't for a bevy of past experiences that prepared us to thrive in such a fast-paced, interactive, and creative work environment. Yes, we're talking about that dreaded coveted-but-elusive career-changing internship, and early February is just the right time to start thinking about your summer situation. In fact, our inboxes have already seen every type of application for summer '12: the good, the bad, and the ugly. With this in mind, we decided to unlock the key on some insider trade secrets. Through dedication to the field (read: sleepless nights), endless drafts of CVs, and yes, even some trial-and-error on the job, we've mastered our own winning formula for getting ahead in an extremely competitive market. Read on for tips you've got to know when applying, and hey, don't be afraid to list us as a reference — we've got you covered. 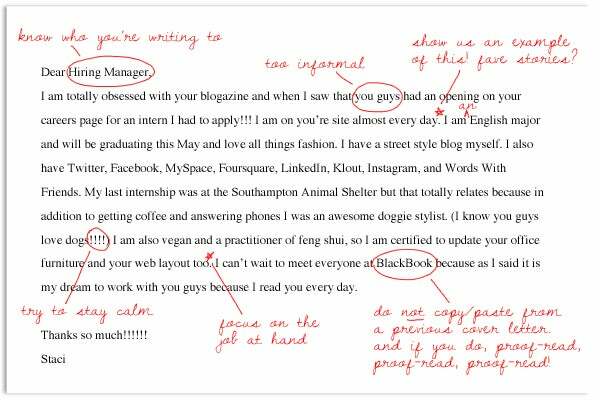 We've all made a fatal copy/paste mistake in the past but double checking for these types of things could make or break your cover letter/internship situation. Of course, you're applying to more than one place, but everyone wants to feel special! Saying "dear hiring manager" or "dear blog" makes us tune out right away. Do the research and know who you're sending to. A well thought out letter shows your skills and makes us want to meet you in person for an interview. How do you interact with the publication? What's a personal anecdote that's also relevant to the position at hand? Keep it brief, but show us you can write and that you have a great personality, too. Yes, we're interested in everything you've done that pertains to the job, but don't over explain. Don't use too many exclamation marks, and don't ramble on about how you've wanted to do this forever. A well composed cover letter will tell us all of that. Sure, there's a difference between a fashion internship and a regular one, so don't come looking boring. But at the same time, don't show up looking like you're ready for a Sartorialist shoot, either. 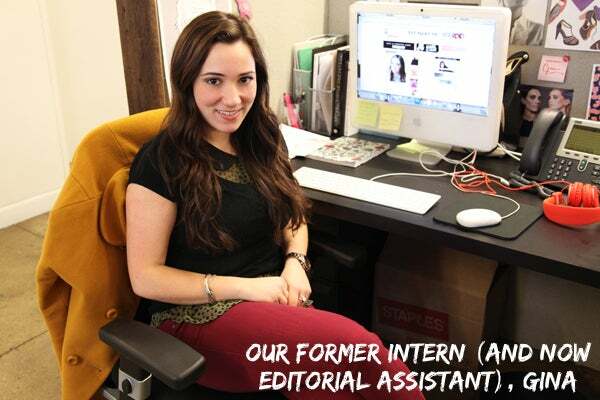 Play up the intern thing with a sweet collared shirt, a skirt, and some fun jewelry. Put your style on display with a sharp, clean, look that says "I'm made for this." Just like your mama taught you, these manners go a long way. Sounding interested will always make you sound more interesting. Show you've done your research with a few good questions and actually pay attention to the answers — they just might help you in finding out if the internship is a good fit for you! Remember to bring your resume, cover letter, porfolio, and a pen. Left: Via Ann Taylor; Right: Acne Lesley Angora Cardigan, $265, available at YouHeShe; Topshop Bow Skirt, $55, available at Topshop; Wolford Circle Net Patterned Tights, $62, available at Net-A-Porter; Aldo Hams Suede High Heel, $52.49 (was $110), available at Aldo; Asos Leather D-Ring Across Body Bag, $62.67, available at Asos. If you're unsure of an assignment or office procedure, ask your supervisor. Questions are important, and no, never stupid! It's better to ask before, rather than redoing an assignment or making a mistake later because you didn't speak up. Would you want to be around you on your worst day? Yeah, didn't think so. A professional demeanor and pleasant attitude goes a long way. When you're able to handle stress and get through a tough day at work with a (genuine) smile on your face, it doesn't go unnoticed. Follow up, follow up, follow up. A handwritten thank you card is the cherry on top of the sundae when it comes to really great internships. Foster the relationships you've built with your supervisors and remain in touch — but please don't flood their inboxes. These connections will be key for helping you secure a position in the company, should an opportunity arise in the future. Be resourceful and proactive in each assignment you take on. Don't just wait for an assignment, pitch one yourself. Ask to do more than the minimum that's expected of you, anticipate the needs of your employers, and be aware of what's going on around you in the office. If you're better informed, you're better prepared to jump in to assist if need be.